Nairo Quintana (Movistar) arrived to the finish line of the 13th stage of the Vuelta a España in the fifth position at seven seconds from race leader and the day's winner Simon Yates. 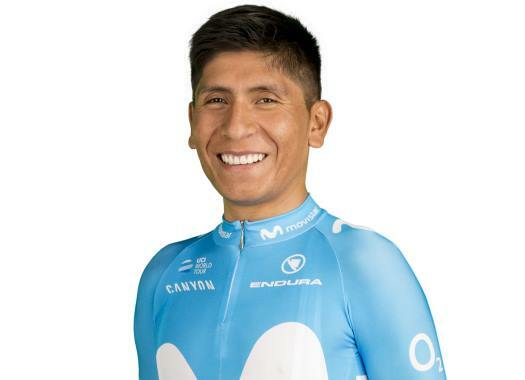 Quintana seemed strong at the last kilometres of the mountain finish in Les Praeres with several attacks that were followed by Miguel Angel Lopez (Astana), in a moment that the rider of Movistar thinks was good for Yates. "The situation with (Miguel Angel) Lopez favoured (Simon) Yates," said the rider at the end of the stage. "He didn't dare to help me or taking any turns because it was also an uncertain situation for him. "Sometimes this is like shooting, you don't know if it's going to be to the air or it will be good for you. He did it well, he went on his way and at the end, he could also take some seconds in his favour and against me. "I didn't expect to lose any time today but we still have the stage of tomorrow that we hope will be in our favour. There is still one stage to go in the mountains of Asturias and Quintana expects this will be his day to take the leaders' jersey. "Tomorrow will be a completely different battle," he commented. "Today it was a very difficult day with descents and cuts at the back. The entire day was very fast and it had a very explosive final that doesn't suit me too well. "We will wait. We could see today that Yates was stronger than us and we have to wait to see what happens tomorrow and the way we will do out strategy. That is a climb that I have always liked, that I look forward to and I hope to arrive tomorrow there with happiness."